Russ Chaplin's Driving Instructor Blog: The Rise of 3rd Party Internet Marketing in the Driving Instruction Industry. The Rise of 3rd Party Internet Marketing in the Driving Instruction Industry. Now I can fill in another profile! It seems you can't turn your head these days without noticing another directory website for driving instructors. These offer a free service where we can all get together with pupils. Another way for third parties to get involved is through the special offers culture. They offer low cost introductory lessons and take the fee charged to the customer for themselves, passing on the customer to an instructor in the area. 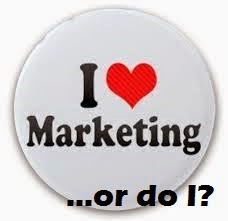 Often the price of lessons or introductory offer is already set by the marketing company. A lot of instructors are, perhaps understandably, angered by what they see as an intrusion into the driving school industry. I haven't had much to do with these companies myself. I have listings on many driving instructor directories but have never actually been offered a pupil from them. The most successful third party directory for me is Free index which nets me a whopping 1 pupil a year. I did get a text message once from a directory in the form of a code. I had to pay a premium rate to retrieve the pupil information. The information about the supposed pupil didn't make sense anyway. If the code was sent to every instructor on the list then that should have turned a nice profit for the company. These marketing people have put forward the argument that they are here to help the instructor who has perhaps not been in the industry long enough to gain a reputation and customer referrals. Also many driving instructors will not know how to market driving lessons so they could benefit from the services provided. Indeed, a good number of instructors must be using these types of service or they would die out pretty quickly. Instead they seem to be on the increase with such schemes run by ADIs hoping to cash in. I believe that if this continues to grow it will lead to a public perception that driving instructors are cheap and just not worth paying for. The opening offers are ridiculously low priced. I can't think of any other job where you are expected to work 4 hours for £6.00 and cover the overheads with absolutely no guarantee that you will retain the work after the initial offer period. Many instructors seem to go for it though. I would be interested to hear from anyone who does this successfully. One good thing about these schemes is that you only pay for what you take. Over the past couple of years I have paid money on a weekly basis to a couple of different driving school franchises and have not received the amount of work I need to make a living. This resulted in my building up my own website to fill in the gaps. In years passed when the Yellow Pages was the main form of advertising I had no trouble having my diary filled by the school. Times have changed and I don't see franchises as being the safe bet they once were. At least these third parties offer some form of alternative. Basically I think that if you don't want to work cheap then you don't have to. Every market has different sectors and there are plenty of people out there who will pay the going rate for what they perceive as a quality service. Any instructor can use Facebook, Google, twitter or any of the other social media tools to market themselves. it's not so hard to learn really. Word of mouth will always be the best form of advertising. I like to think that there will always be a future in the industry for an instructor who tries their best and looks after their pupils. Driving Video Games Help You Pass Your Test!